If you are a recruiter in the IT industry, you know how difficult it is to make contact with IT experts and convince them to apply. An important question that you should ask yourself today in IT recruiting is: Where are my candidates getting lost? You may have already managed to reach your target audience, but many disappear on the way to the application in your process. We've written an article that explains how to use smart HR analytics in recruiting to find out where candidates are getting lost today and what you can do about it. The question "where are my candidates getting lost today" can give you insight into your recruiting data. That is why it is so important to elevate key figures in recruiting. Moreover, these are an important basis for your argumentation when it comes to justifying and acquiring the recruiting budget internally. You will also get an overview of which channels bring good quality applications. In Talention, such reports are collected live. Today, recruiting takes place online. That is why key figures are playing an increasingly important role. They will give you a deeper understanding of where you are losing your potential candidates. Only those who can comprehend the candidate journey of their target group with data are able to understand how it can be optimized, or where it is flawed and the candidates are lost. With a modern recruitment marketing software, you can follow every single step of your candidate journey. You have an overview of every single channel, for example: how many candidates have seen the ad, how many have clicked on the "Apply Now" button, how many have applied, how many were interviewed, and how many have been hired. Today you should critically examine your processes and find out which channel has discrepancies or if the bounce rate is particularly high. Go deeper into the error analysis here. Campaign management with live data is an important component of modern recruiting. You should have an overview of the live performance of your current job listings to understand where you are losing candidates and possibly investing in an unnecessary budget. The live pulse is an important indicator of what is happening on your job advertisement. 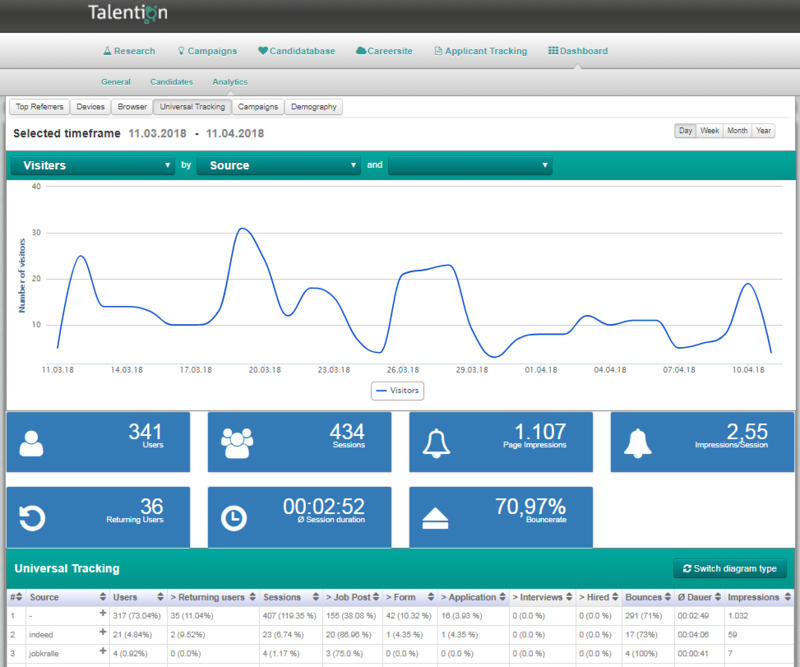 It indicates how many visitors your job ad has had in the past seven days. You should test different channels, especially for difficult positions in the IT sector. Don't focus solely on one main channel, for example an employment exchange, but also include social media or another channel. Only in this way can you gain a deeper understanding of where the main visitor stream comes from and what works well for you. Here you can go a level deeper into the funnel view. This gives you an idea of the point at which the interested parties left your job advertisement. For example, did they jump off shortly after they were on the ad? If so, this could be an indicator that the top of the ad is not appealing to your audience. Please also read our article "Best Practice - Why Data is Important in Recruiting". One reason for a high bounce rate could be the wrong stream of visitors. 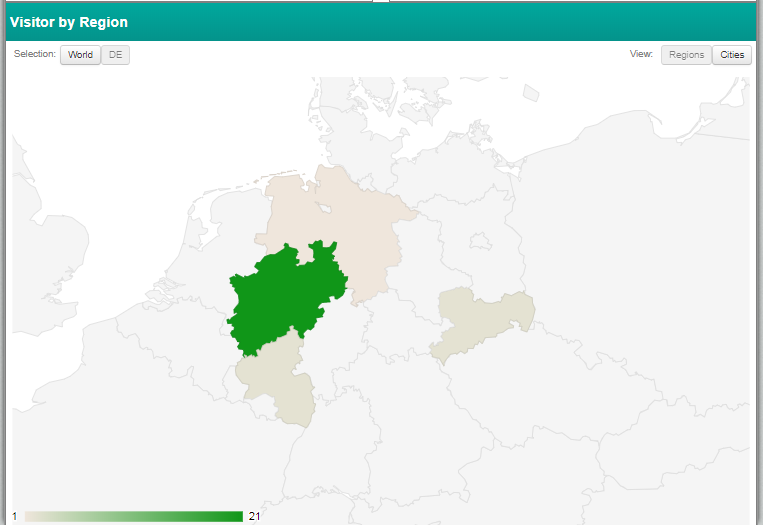 You should always check the region from which candidates are accessing your job ad. Unfortunately, there are no overarching tips on how to get the top candidates, as it remains an individual process for any business. It is essential that you have an understanding of your process and vacancies. That's the only way you can figure out how to get the right candidates. A good example is the Gi Group. They first understood where candidates were getting lost and could then take targeted action. That was 5 months ago and today they have 200-300% more career-side traffic and 20% more candidates. Here you will find an interview on this topic with the Gi Group. Are these topics still too abstract for you? Would you like to see more specific examples from your industry? We will gladly show you further best practice examples and concrete implementation in the Talention software. Just ask for a demo here and someone will get in touch with you shortly. Request a demo now.